Hagan Fine Art Gallery & Studio, LLC is the working studio of Charleston Artist, Karen Hewitt Hagan, and represents over 40 well-known, award-winning impressionistic and abstract artists from Charleston and around the world. Established in 2010, HFA brings to Charleston a variety of original oil, acrylic and mixed media works. With two stories full of beautiful art and The Hidden Art Courtyard, you’re sure to find that special piece. 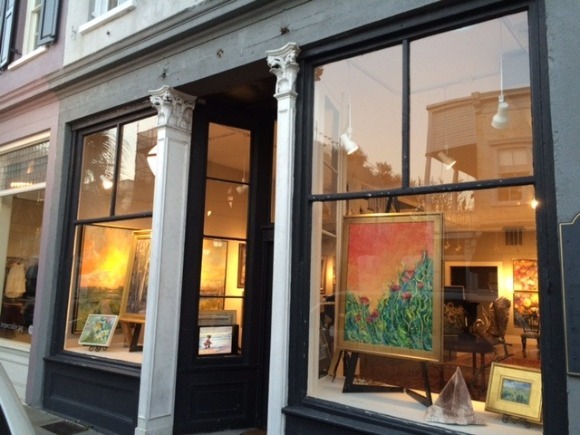 Newly relocated at 177 King Street in Charleston's wonderful Lower King Street Fine Art & Antique District. Join us at our First Friday receptions every month and meet some of the finest local, regional, national, and international artists working today. The gallery is also Karen's working studio - often you'll find her or one of her artists at work in the gallery. With a complimentary mixture of paintings and sculptures, HFA offers a broad variety of Lowcountry, American, European and Russian landscapes, interiors and still life as well as romantic figurative and abstract art. We strive to support our wonderful artists’ talent while also helping our collectors find the perfect gems for their homes.